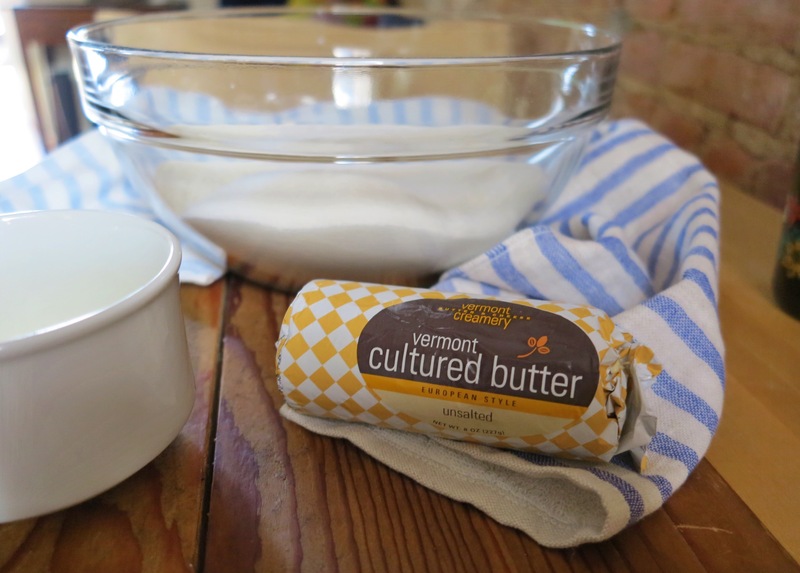 cultured butter = cream that has been set aside and exposed to cultures (much like crème fraîche) before being churned into butter. I could easily wear grey for the rest of my life, but today I’m boppin’ around with “I’m Walking on Sunshine” playing on repeat in my head and smiling like an idiot with my eyes closed. So, yes. 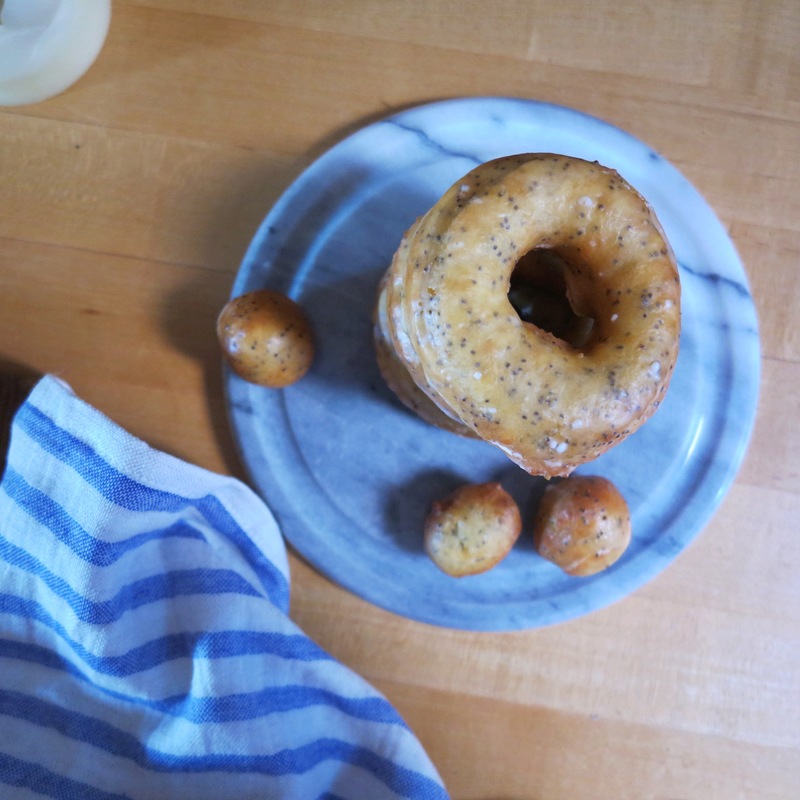 Today I am wearing my blue gingham and I am eating lemon poppy seed doughnuts because it is spring and it’s 60 degrees outside. The whole weekend was dreamy. When I took breaks from basking in the sunlight, I looked around and noticed everyone smiling; a far cry from the scowls most New Yorkers (ie. me) wear during the cruel winter months. Saturday was a delight. 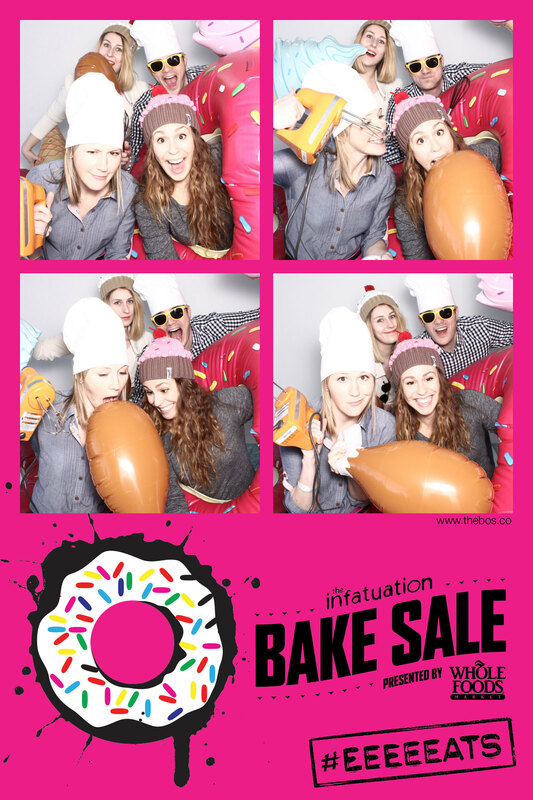 I attended the Infatuation Bake Sale in a sun-drenched Chelsea studio complete with never-ending sweets, an open bar, and a photobooth to boot. Instagram-bait like crazy. I was entirely focused on eating cookies and doughnuts and nutella-filled brownies, so I’ll have to outsource to Instagram for photos. 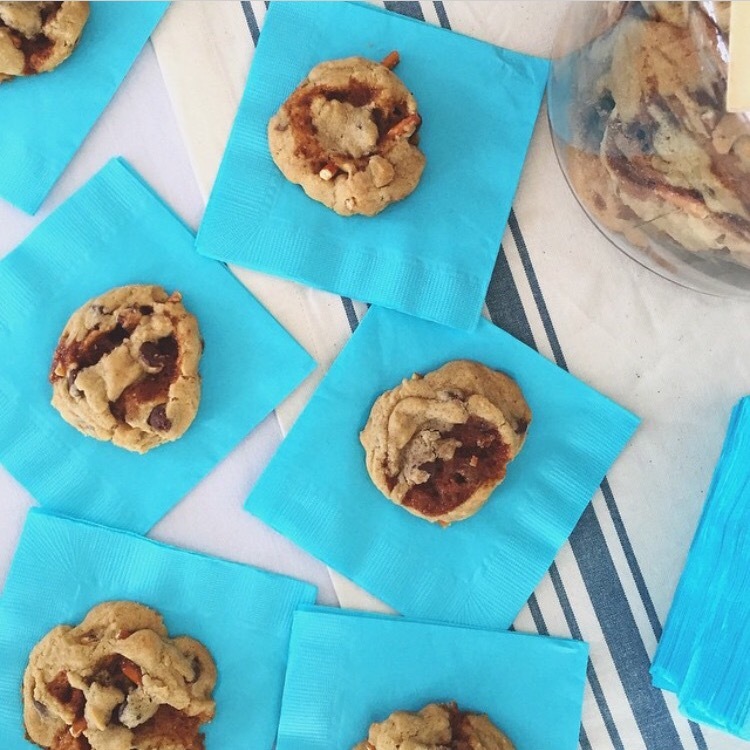 My favorite treat was a chocolate chip pretzel cookie with salted caramel. Good work, @lizardlew. 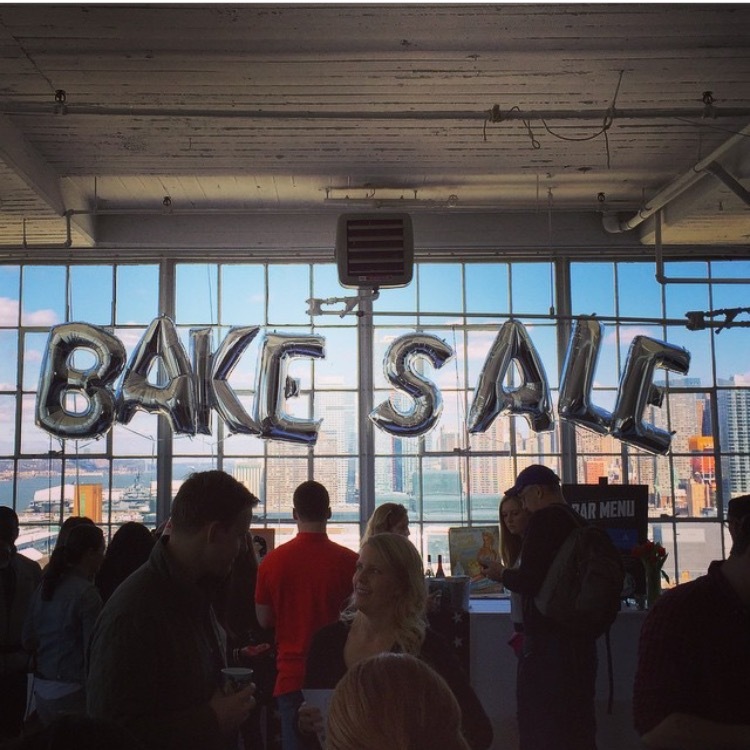 at the #InfatuationBakeSale. Instagram by @kbherrin. Favorite treat of the day. Instagram by @mignano. 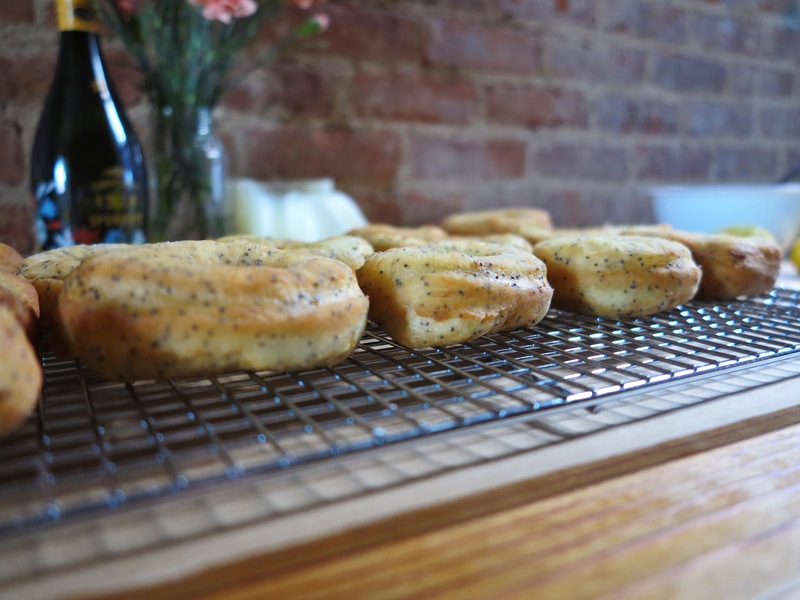 After a very full Saturday happily skipping around Manhattan and Brooklyn, I took Sunday as a day to throw open the windows and fry up some bright and cheery lemon poppy seed doughnuts. It just seemed like something one needed to do after a day of gobbling up other people’s confections. I had read in the reviews that the doughnuts were a bit dry, and when I was mixing the wet and dry ingredients together, there didn’t seem to be enough liquid. I added an extra ½ cup of buttermilk. This, in turn, made the dough a bit sticky and hard to work with. I think maybe ¼ cup would work better. 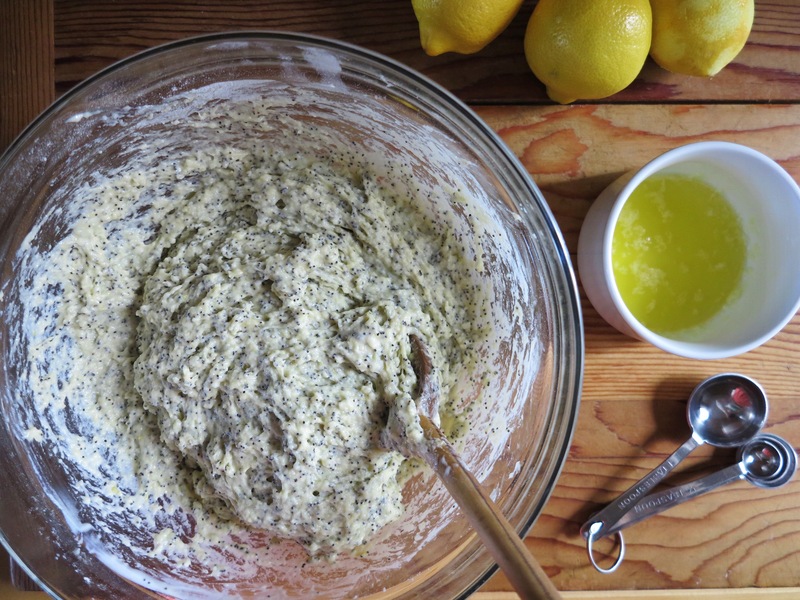 Try it, if you’d like, and let me know how the dough was! Never fear, though. 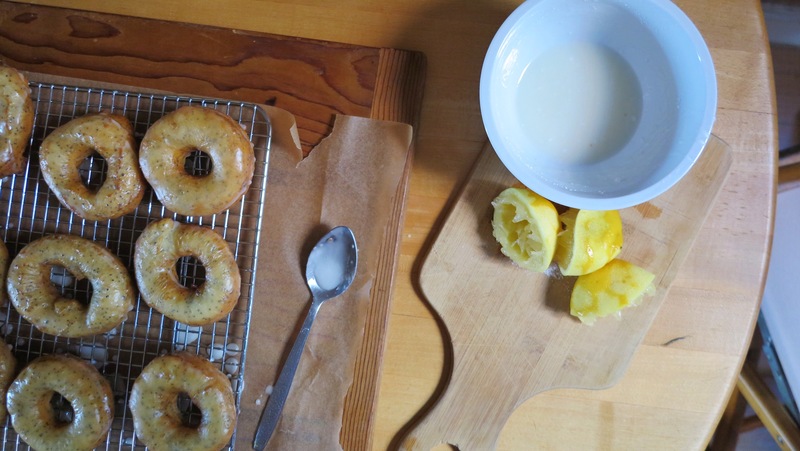 I got those doughnuts fried, glazed, and by now every lemon-y crumb is polished off. Heat the butter on the stovetop until just melted, and pour it into a dish until ready to use. 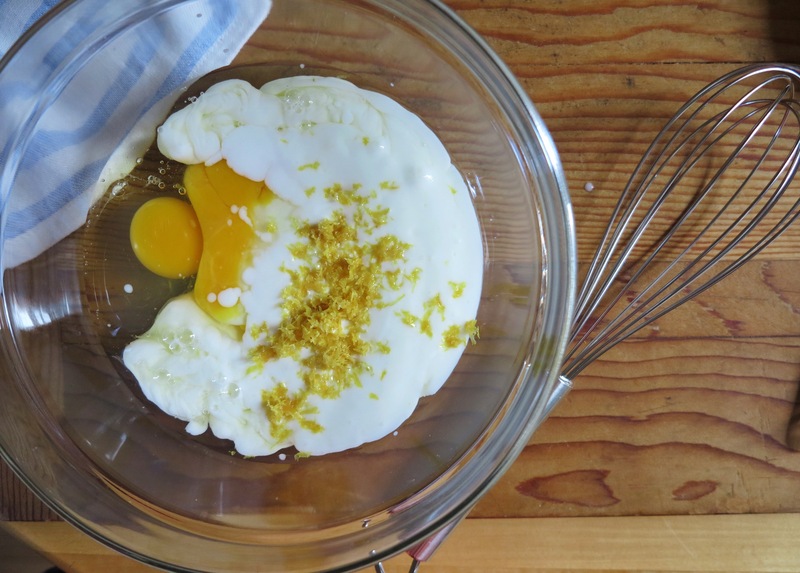 Beat together the eggs, buttermilk, and lemon zest in a bowl until light and frothy. 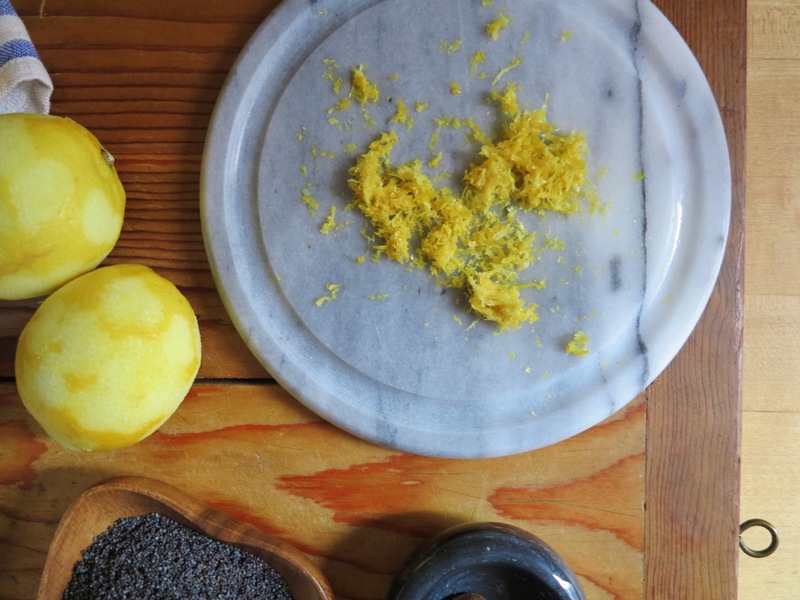 In a separate bowl, blend together the dry ingredients and poppy seeds. Blend the wet with the dry until full incorporated. Stir in the melted butter. 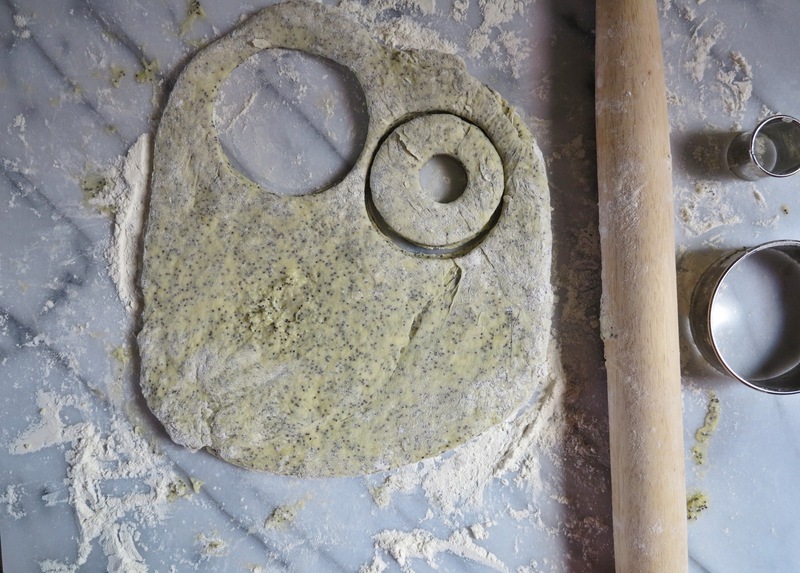 On a very well-floured surface, turn out the dough and knead it a few times. Note: this may be tough, sticky, and frustrating. 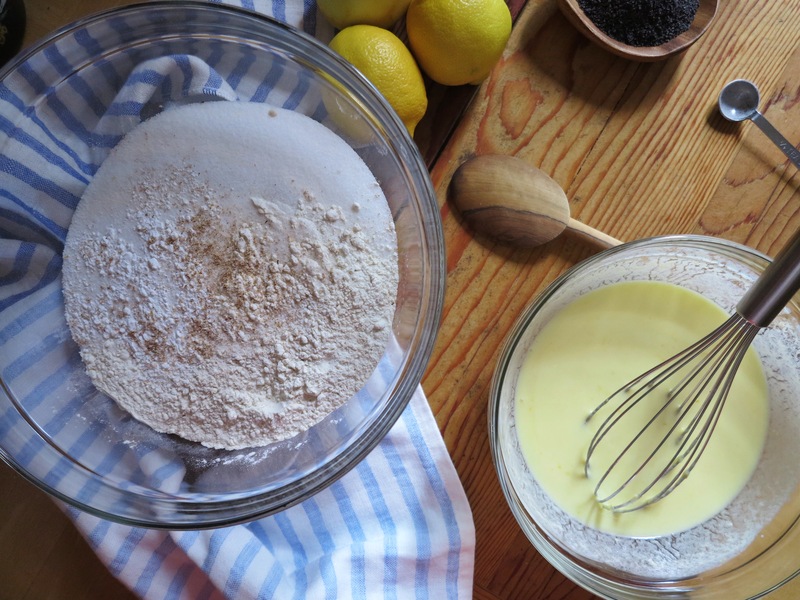 Just keep with it and add more flour until you can work with it. It’ll be worth it. In a heavy bottomed pot, such as a Le Creuset, pour in about 3 inches of oil. Add a candy thermometer and heat the oil to 365-375 degrees. Keep an eye on the temperature as you fry because the temperature can drop when you add the dough or spike when you have nothing in the pot. Adjust as needed. 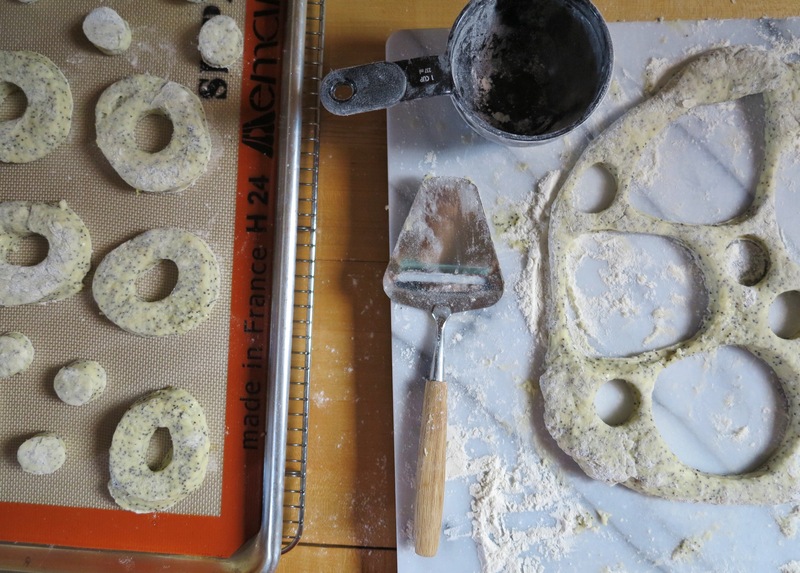 While the oil is heating, set up a tray lined with paper bags or paper towels to drain the doughnuts on. When the oil is ready, add three doughnuts at a time. Give them about two minutes per side, flipping them with a spider or a slotted spoon. 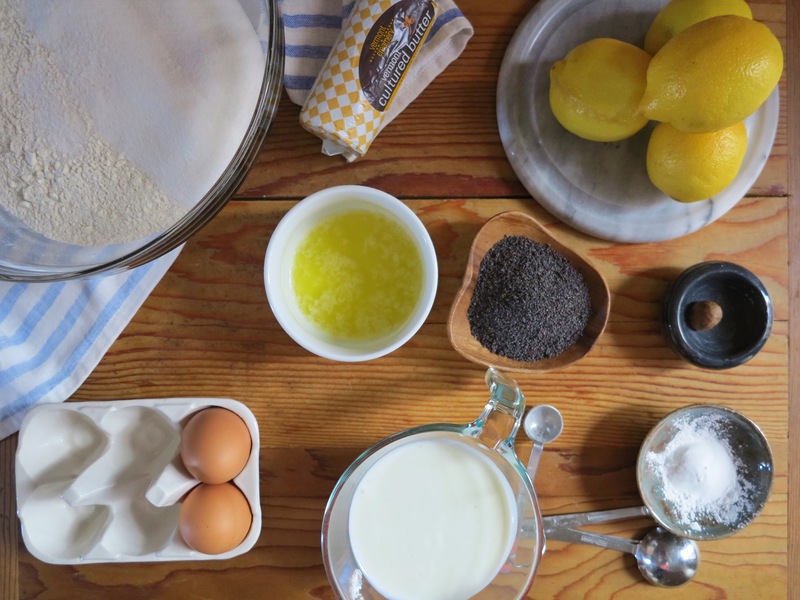 Doughnut holes can go in about 5-6 at a time and cook a little more quickly. To make the glaze: I must admit, I didn’t measure when I made the glaze. I’d say I used about 2/3 or ¾ a cup of powdered sugar and the juice from half of a lemon for one batch. I made a few batches, just mixing the two ingredients together until they were smooth and the right consistency. You want it to be pretty loose, but still a little thick. You can’t really go wrong, just get it where you like it! 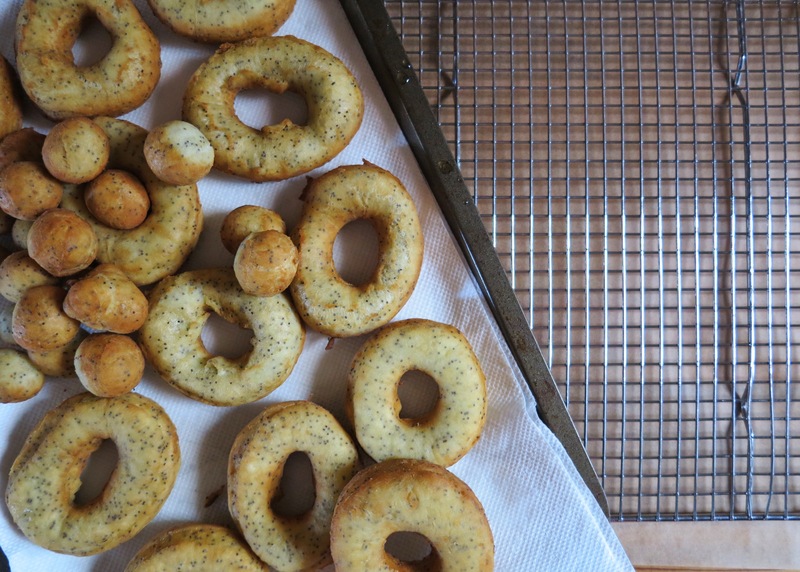 Dip the top of the doughnuts in the glaze and place them on a cooling rack. 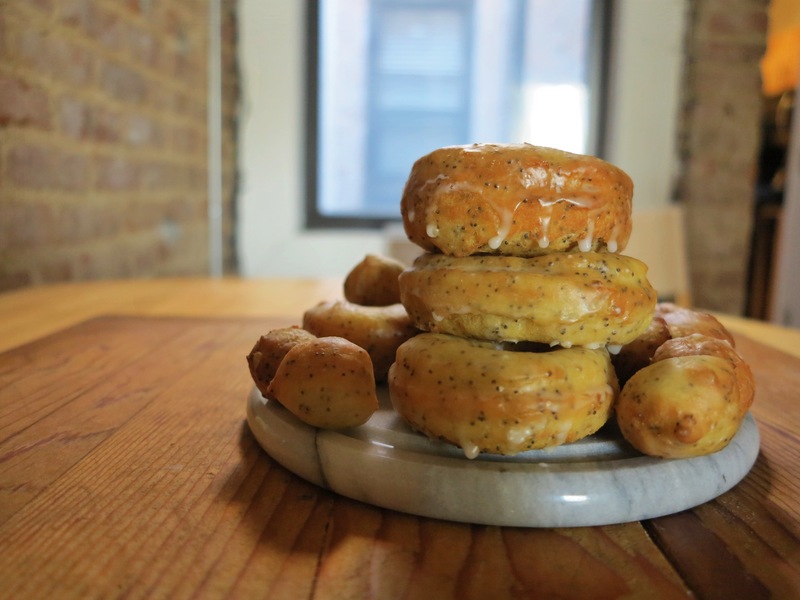 Snack on doughnuts holes as you go. 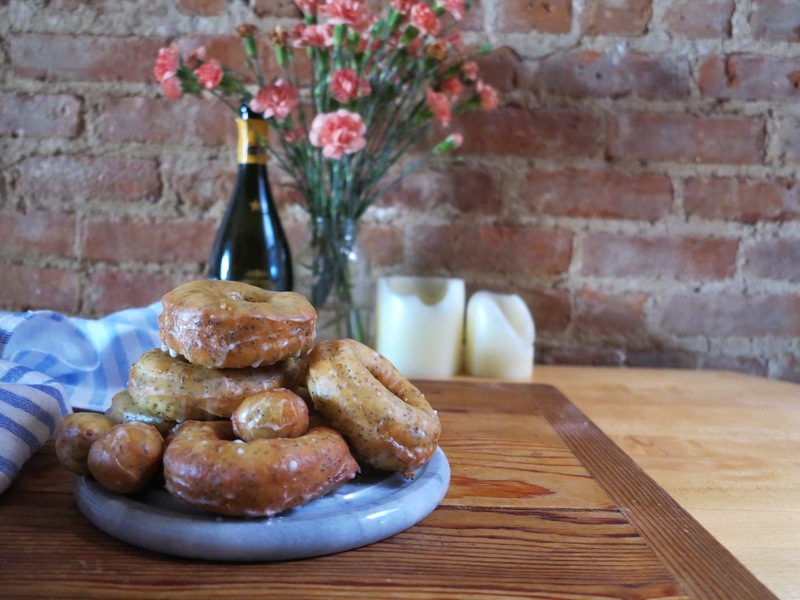 Congratulate yourself on frying dough and turning it into tasty treats. Give away to friends or eat them all. Sounds like a very decadent weekend!